Reno, Nev. October 5, 2018. The Washoe County Registrar of Voters Office would like the community to keep watch for the Official Sample Ballot coming to mailboxes the week of October 8, in preparation for the coming General Election on November 6, 2018. What is a Sample Ballot? 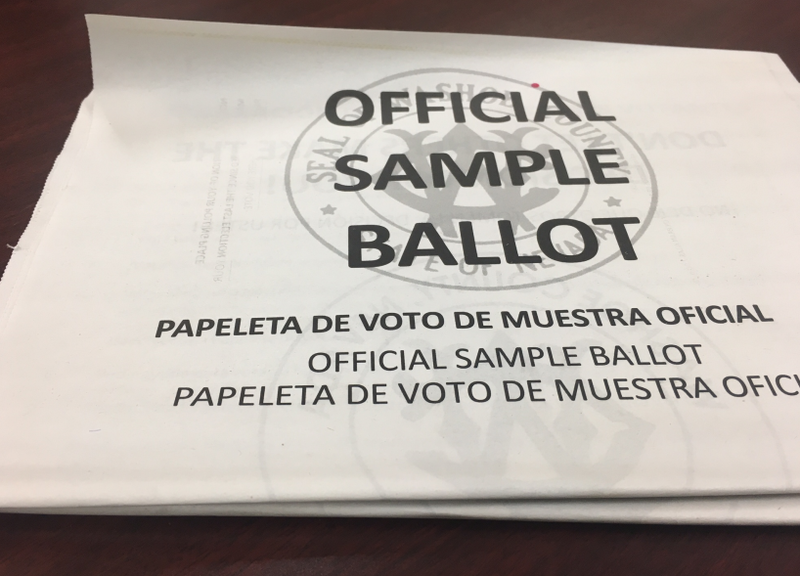 A Sample Ballot is a document sent to registered voters to help them prepare for an election with valuable information, including polling places, hours, ballot questions, offices and candidates that will appear on the ballot. Does it matter if I have updated my address? Yes. Your Sample Ballot is based on where you live, as it will only display the candidates you are eligible to vote for based on your residential address. Washoe County has over 104 different sample ballots going out to homes next week that are in both English and Spanish. If you have any questions, please call Washoe311 by dialing 3-1-1 form any phone, or the Registrar of Voters Office at 775-328-3670.